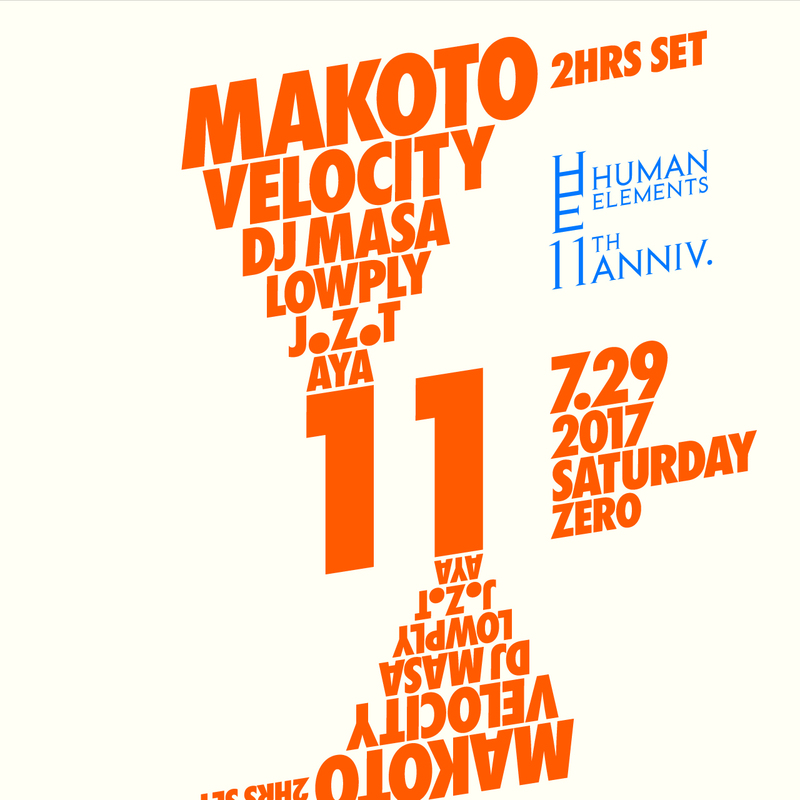 Long run musical / Soulful Drum&Bass night in Tokyo – Human Elements. We are glad to say that we will turn 11 years old on 29th July 2016. Tokyo’s one & only Makoto who has just come back from UK / Europe will be doing 2hrs set which is quite rare in his home town Tokyo. His 4th solo album will be released on the Hospital Records in this summer, so expect some of new material from his forthcoming album. The line up goes on strong with our residents to celebrate 11 years, we have Velocity who recently has got picked his collaboration track called “Set It Out” with Satl for Drum & Bass Area 2017, also DJ Masa who won “Road to Outlook” in 2014 and is making regular appearance at 06s at the womb club and our amazing residents Lowply, JZT and Aya.